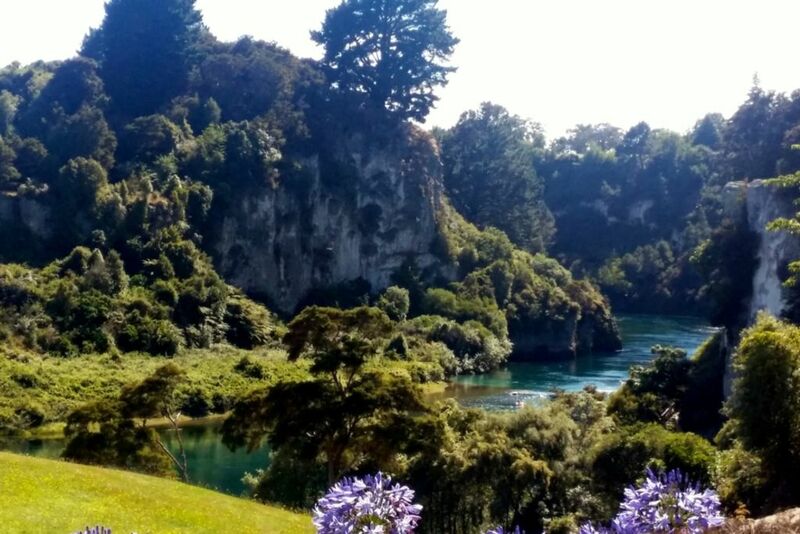 Quiet, peaceful hideaway by the Waikato river B. Fully self-contained 2 bedroom 1 of 2 units complete with heat pump for those brisk Taupo winters. Peaceful sheltered surroundings, relaxing environment, all you need for a great breakaway from a busy life. There is a relaxing deck where you an sit and enjoy a nice glass of wine and enjoy the view. There are walking/bike tracks nearby that lead to Spa Park where the adventure begins. With an internal access door between Flat A and Flat B, you are now able to book both units to provide 4 bedrooms (sleeps 10 people), 2 kitchens, 2 lounges and 2 bathrooms. Book early to secure the same dates for both units. Go to listing number 36425 to book online. Dates booked for both units must be exactly the same. Please advise in your request for a booking if you DO NOT require the use of the BBQ. Check in time is 4pm on the day of the first night to give time for preparation in the case we have guests moving out on the same day of a booking. We can often have the flat ready before 4pm, please check on the day by text or call to 0211657929. Check out time is 10.30am on the day of departure. - Smoking allowed outside only. Please dispose of butts in a sealed bag into the rubbish bin. NOT in the garden. - Flat A and Flat B are joined by a masonry party wall, some noise can be heard both ways, excessive noise and any inconsiderate noise after 9.30PM will not be tolerated. Call me, not text, on 0211657929 at any time if an intervention is necessary. Short drive to ski fields, Rotorua, Turangi, fishing rivers and walking/ mountain bike tracks. NO washing machine provide however a laundromat is available within 5min drive. Internal access garage for 1 car and space for 2 others vehicles on site. For Sky please provide your own decoder. Free to air TV (Freeview) is provided. A few toys for the children. View was fantastic. Lance was pleasant to deal with and replies instantly. Highly recommended! We thoroughly enjoyed our stay. Great indoor outdoor flow to the deck with a great view. We’re definitely going back to stay at Iris River Cottage. Just the best, the view is the best, lance is the best and everything is just the best! Nice quiet location with a wonderful view. Thanks for the stay Lance. great kiwi bach. fabulous position.The views on the picture are really what you get.